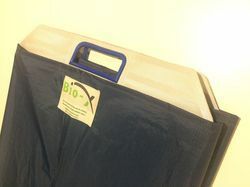 Bio-X offers Patient transfer system made of fine material poly-carbon can bend to 90 degree ,Applicable in large, medium and/or small hospitals, in ICU, Operation theater, Emergency room and Patient ward, etc. Applicable in large, medium and/or small hospitals, in ICU, Operation theater, Emergency room and Patient ward, etc. According to the current requirement of modern nursing science, nursing involves a lot of physical work, which leads to backache or lumbar pain on the part of nurse. While moving the patient, particularly the serious patient or the patient who needs special care,between stretchers, patient beds, trolleys, inspection beds, X-ray fluoroscopy tables and operation tables. Easy move is simple to use, cost-effective and light-weighted .It can not only relieve the hardship of doctors and nurses when moving patients, but also relieve pains and adverse affects of patient when being moved. Being a prominent hospital & medical equipment manufacturer,importer and distributor, we have a classic range of next generation patient transfer systems. These have cutting edge designs with ergonomic features, offering much ease & sophistication to both, the patient & person operating it. The prime aspect of these patient transfer systems is that there is not any maximum weight limit for these patient transfer systems and for having high quality. According to the current requirement of modern nursing science, nursing involves a lot of physical work, which leads to backache or lumbar pain on the part of nurse. While moving the patient, particularly the serious patient or the patient who needs special care, between stretchers, patient beds, trolleys, inspection beds, X-ray fluoroscopy tables and operation tables. 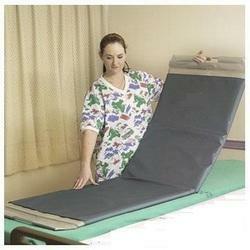 Bio-X is importer and supplier of patient transfer bed. 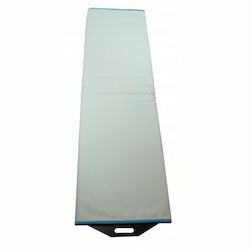 It is use to transfer immobile patient from one bed to another, between stretcher,trolley,operation tables.It can not only relieve the hardship of doctors and nurses when moving patients, but also relieve pains and adverse affects of patient when being moved.Make nursing work become simple and easy. 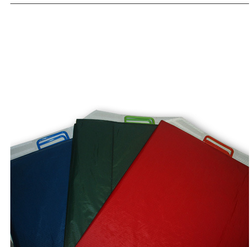 Relieve the pains of patients.Easy and simple to use, cost-effective and light-weighted. 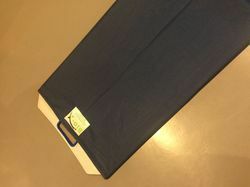 Easy move is kind of patient transfer system which is simple to use, cost-effective and light-weighted.applicable in large,medium,small hospital,in ICU,O.T,emergency room and patient ward.The name suggest (Easy Move) easy to transfer immovable patient from bed to bed,from structure,inspection bed. Easy move can not only relieve the hardship of doctors and nurses when moving patients, but also relieve pains and adverse affects of patient when being moved. 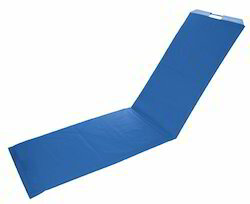 Patient Transfer Equipment is made of a Polycarbon low friction material that allows the caregiver to easily slide a patient for repositioning in bed.According to the current requirement of modern nursing science, nursing involves a lot of physical work, which leads to a backache or lumbar pain on the part of the nurse. While moving the patient, particularly the serious patient or the patient who needs special care, between stretchers, patient beds, trolleys, inspection beds, X-ray fluoroscopy tables and operation tables, EASY-MOVE is easy to use. 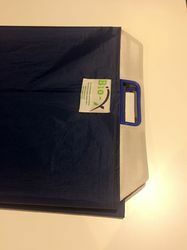 Bio-X has been specialized in the field of Hospital equipment manufacturing,supplier and distributors.Recently we have launched our new product " Patient Handling and transfer"Applicable in large, medium and/or small hospitals, in ICU, Operation theater, Emergency room and Patient ward, etc. 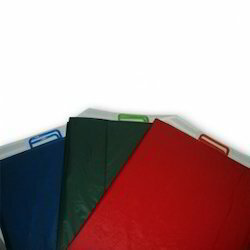 Patient Handling and transfer is made of Fine material quality " Polycorbonate" which is very flexible and slippery. We would like to introduce ourselves as suppliers of Patient Shifting Device. This concept of patient transfer is new to India ,but it very popular in the US,UK and Europe for the last 3 decades where lifting patients for transferring patients is not recommended because it causes the nurses and attendants to suffer back pain /back pain injuries. We are manufacturere and supplier of Hospital Equipment.Patient Transfer Apparatus is one our product cotegory.Patient Transfer system applicable in large, medium and/or small hospitals, in ICU, Operation theater, Emergency room and Patient ward, etc. Usage:According to the current requirement of modern nursing science, nursing involves a lot of physical work, which leads to backache or lumbar pain on the part of nurse. While moving the patient, particularly the serious patient or the patient who needs special care,between stretchers, patient beds, trolleys, inspection beds, X-ray fluoroscopy tables and operation tables, EASY-MOVE is easy to use. 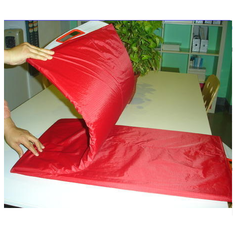 Objectives of the new invention:Easy move is simple to use, cost-effective and light-weighted .It can not only relieve the hardship of doctors and nurses when moving patients, but also relieve pains and adverse affects of patient when being moved.Make nursing work become simple and easy. Relieve the pains of patients. This concept of patient transfer is new to India ,but it very popular in the US,UK and Europe for the last 3 decades where lifting patients for transferring patients is not recommended because it causes the nurses and attendants to suffer back pain /back pain injuries. This has been the protocol followed in all the Emergency Departments around the world including Operation Theatres, Wards, ICU'S etc basically where ever patient transfer is done between the OT Table to Stretcher or Stretcher to Hospital Bed. 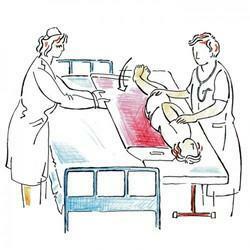 Furthermore it is recommended to use EASY MOVE because the Patient Transfer takes place without lifting the patient’s body especially in the case of Accident cases. According to the current requirement of modern nursing science, nursing involves a lot of physical work, which leads to backache or lumbar pain on the part of nurse. While moving the patient, particularly the serious patient or the patient who needs special care,between stretchers, patient beds, trolleys, inspection beds, X-ray fluoroscopy tables and operation tables, EASY-MOVE is easy to use. Easymove is simple to use, cost-effective and light-weighted .It can not only relieve the hardship of doctors and nurses when moving patients, but also relieve pains and adverse affects of patient when being moved.